Missouri has a lot of great features. From a giant barbecue obsession to a dinner roll love affair, Missouri makes a lovely home for many. If you or someone you know is planning on relocating to Missouri, we can assist you with all your vehicle shipping needs. At National Dispatch, we offer several services to help in the transportation of your vehicle during a relocation, vacation, car trade, and more. Moving to another city can be extremely stressful. National Dispatch aims to reduce that stress by helping with the transportation of your vehicle. This not only takes one thing off your To-Do list, but it also has the potential to save you a lot of money in the end. Driving to your destination can add numerous expenses to your budget. By using one of our services to transport your car, you do not have to worry about creating a stricter travel budget. If you are taking an extended vacation to Missouri, you may want to transport your personal vehicle. Renting a car for a long period of time is a hassle and very expensive. By having your vehicle transported, you get to enjoy your trip from the comfort of your own vehicle. If you have a dream vehicle in mind, chances are you have been shopping around for it. What happens when the car of your dreams is in another state? You can drive to the dealership and purchase the car there, but then what? How do you get both cars back home? Consider doing a dealer to dealer trade with a local dealership. This will allow you to stay at home, but purchase the car from somewhere else. National Dispatch helps by picking up the vehicle and delivering it directly to your home or place of business. This is a stress-free way to purchase the car of your dreams without having to travel far for it. After the delivery of your car, it is time to begin exploring the state. We know that picking where to visit can be an ordeal, so to help you we have created a list of some of the top places to go. Located in Lesterville, Johnson’s Shut-Ins State Park is an incredible destination. It is home to many different terrestrial communities and over 40% of the state’s plant species. 6,000 acres of the park are only reachable by foot because there are designated wild areas. These locations do not have roads, paved trails, or park amenities leading into them. The park also has a natural water park. Some of the igneous rock formations that line the Black River have begun to erode due to wind and water. This has created slides and pools within the river. You can slide between boulders into natural pools and springs. When you visit, make sure to follow safety precautions as high water levels make this a bit dangerous. Silver Dollar City is located in Branson. It is an 1880s style theme park with over numerous rides, attractions, shows, concerts, and demonstrations. The park sits on top of one of the deepest caves in Missouri. In spring of 2018, the theme park will introduce the world’s fastest, steepest, and tallest spinning roller coasters. If fast roller coasters do not interest you, there are many other attractions, such as the Birdle’s Cabin, for you to enjoy. At Birdle’s Cabin, you can explore an authentic log cabin and learn about pioneer life. At the park, you will also be able to milk cows, run through obstacle courses, meet barn animals, and visit some of the historic structures around the park. All of these attractions are bound to make you and your family hungry. Do not worry about packing food, because the park is loaded with yummy snacks and restaurants for your enjoyment, including pretzels on a stick. For the art lovers, this museum is for you. It is located in Kansas City and is a great opportunity to learn about some of the best artists in the world at no cost. In the museum, you will see paintings, sculptures, paper projects, stained glass, furniture, textiles, ceramics, photography, and ancient pieces from all around the world. If you are bringing small children, the museum suggests doing multiple short trips. This will keep them engaged and focused on the art. The museum also offers many educational opportunities to expand your love of art. There are many different classes that are geared for different age groups, including adults. Learn more about Kansas City. Cathedral Basilica of St. Louis, is a beautiful cathedral that is open to the public. The Cathedral is still in operation. Therefore, before visiting, check out the website to ensure that you are able to go at the specific time that you had in mind. The Cathedral is closed to the public for tours during mas. However, you are more than welcome to join the service. You do not need to make a reservation for a self-guided tour. If you would like someone to give you a tour, you will need to call and make an appointment. 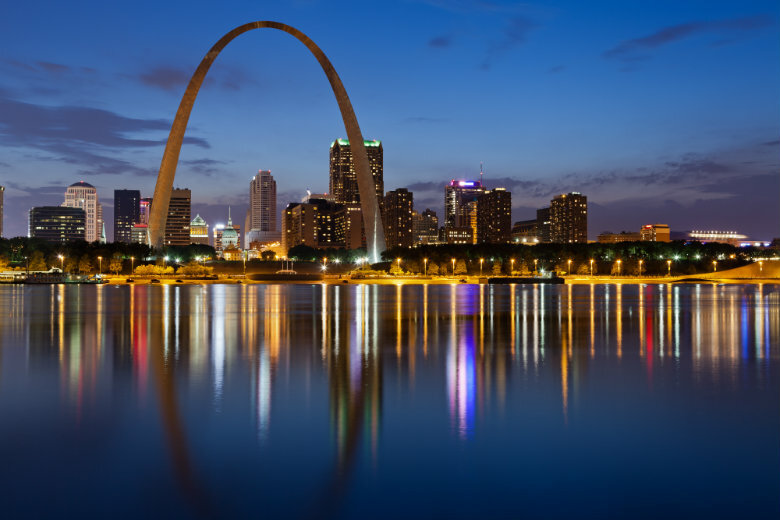 Learn more about St. Louis. Located in Camdenton, on the Lake of the Ozarks, Ha Ha Tonka State park is one of Missouri’s most treasured spots. It is filled with sinkholes, caves, natural bridges, and the 12th largest spring in the state. All of these make the state park a natural wonderland. What makes it extra special is the ruins of a turn of the century castle that overlooks the Lake of the Ozarks and Ha Ha Tonka Spring. The park is easily accessible and offers guests with trails and boardwalks to all of its features. Before embarking on your adventure, make sure to check the state park website for any advisories about the park. Are you convinced now that Missouri is the place for you? Even if only for an extended vacation and not a permanent relocation, vehicle shipping services can make your life easier. Request a free, instant vehicle shipping quote using our online quote calculator. No personal information is required. If you prefer to speak with someone by phone, call us at 800-321-2051.